A tiny sensor is inserted under the skin and measures blood sugar every few minutes — with no pin-pricking for a droplet of blood needed. As well as potentially saving lives, the technology also has health-care savings costs down the line, says the medical director of B.C. Diabetes — but it's not covered anywhere in Canada. 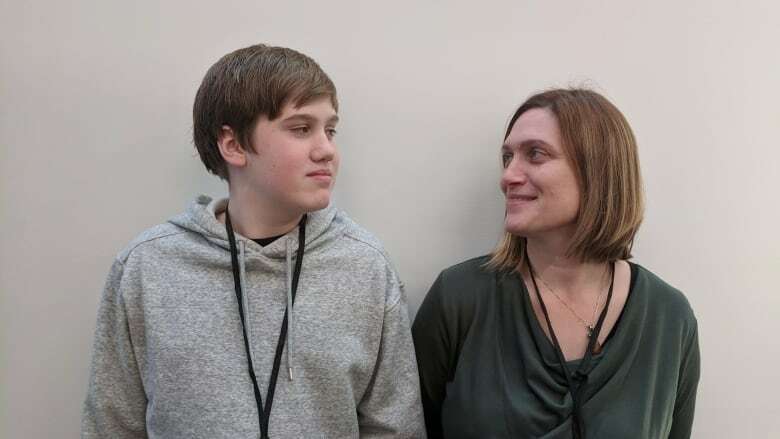 For Nadine Pedersen and her teenage son Hudson, who has Type 1 diabetes, getting a glucose-monitoring device was life-changing — and potentially life-saving for him. Now the Vancouver mother, along with many others in B.C. affected by the disease, including doctors, are calling on the province to fund the technology. "The quality of our lives immediately improved," Pedersen said. "It's huge." 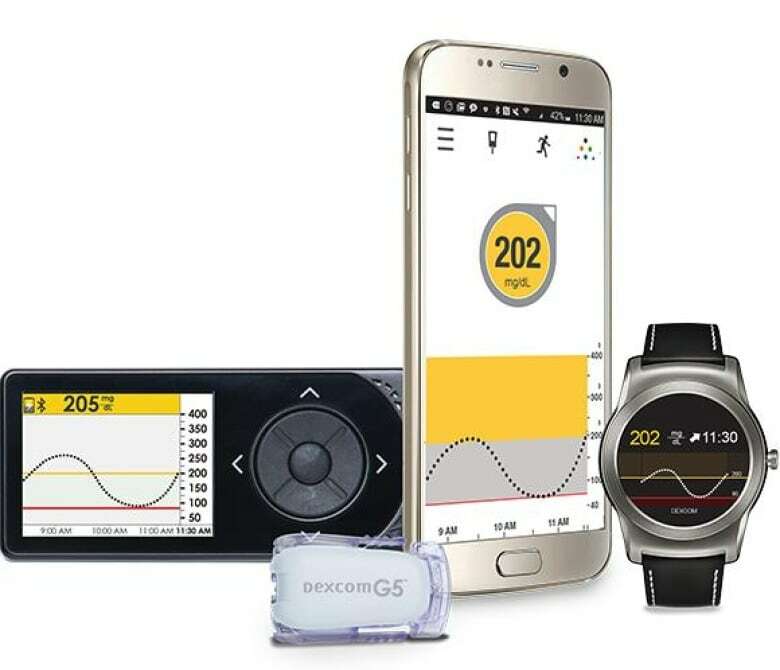 The device, called a continuous glucose monitor, is relatively new technology that makes checking blood sugar levels — crucial to managing diabetes — much easier. A tiny sensor is inserted under the skin, usually in the arm or stomach area, and measures blood sugar every few minutes — with no pin-pricking for a droplet of blood needed. Blood sugar levels fluctuate throughout the day, based on things like what was eaten and when. Levels that are either too high or too low come with serious health risks. Should levels fall too low while the person sleeps at night, for example, they might never wake up. Before 14-year-old Hudson Carpenter got the device, he had to prick his finger a dozen times a day to check his sugar levels. "His fingers just looked like pin cushions," Pedersen said. "And we were getting up at midnight, 3 a.m. and 6 a.m. every night to check his blood sugar levels." Now, with the tiny sensor under his skin, his glucose levels are measured automatically hundreds of times a day. An alarm goes off it anything happens in the middle of the night. Dr. Tom Elliott, the medical director of B.C. Diabetes, describes the device as a "revolution." "It's forever changed how we manage diabetes, it's changed the standard of care," Elliott said. "We can no longer go with the old routine. It's not good enough." As a doctor, Elliott said, it's easier to treat patients who have the device and prevent diabetes-related complications like kidney disease, heart disease, blindness and amputations. As well as potentially saving lives, the technology also has health-care savings costs down the line, he said — but right now it's not covered anywhere in Canada. That makes footing the bill a struggle for many families using the devices. For Pedersen, a single mother, the ongoing expenses for using the device and related items — things like sensors and transmitters — amounted to $4,000 over the past year. Her insurance company is no longer covering it. But Pedersen says she'll do whatever it takes to keep using the technology. "It's something that we need to keep Hudson safe and survive," she said. "We'll figure out a way to pay for it no matter what we have to do." CBC has contacted the B.C. Ministry of Health for a response.